Best I can sort out, this means “GLORY DS106”. 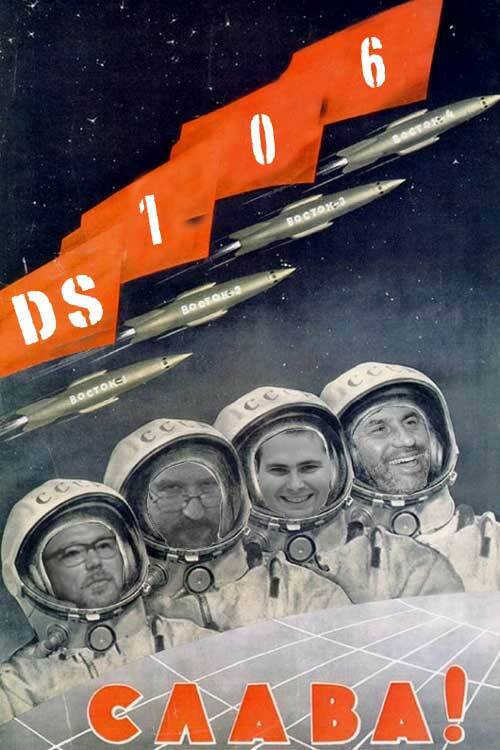 You’re having too much fun with the propaganda posters; very inspirational! I finally caught up on my grading and got to do one, too, with a poster that was already a satire against Homeland Security and corporate news. Why do they strike us all as so funny with their own retro beauty? I could speculate from now to next Tuesday, Sandy. It is the appeal of old sci fi movies too- the juxtaposition of our modern way of life with how we saw the same view in the past? Or was it always satire? I feel it is a small way to try and time travel.